Hey Party People! It's truly been a long time, I shouldn't have left ya! Well, I have no excuse other than to say, my computer has been giving me the blues and I've almost had to commit damage to get it up and running again....ala the dude on You Tube who destroyed his MAC because it was acting retarded. Well, I think I'm back!! A lot of action and newsworthy events have occured since my previous blog posts. 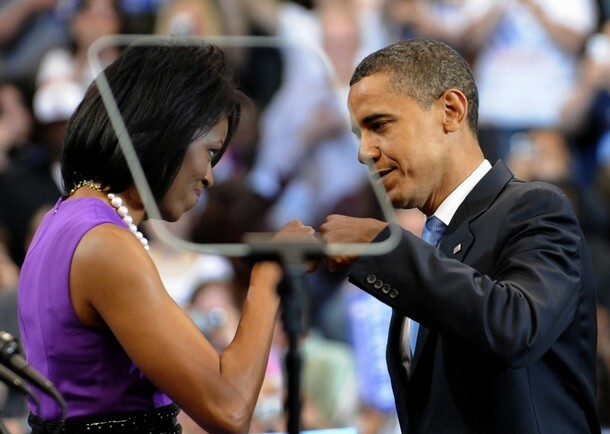 First, I have to make sure my blog is posted with congrats to Senator Obama for securing the Democratic Nomination. Since 1992, (the first election year I voted in), I've been secretly obsessed with politics, but this marathon Democratic debate just sent me over the top with knowledge and perspective. I'm living and breathing this political stuff; who knows what's gonna happen if I start to love it as much as I love music. Hey, don't laugh. I ran for Commissioner of School Spirit in 8th grade, didn't secure the position but I had total support of the 4th graders, they believed in me. They made posters with my name sprinkled in glitter using my campaign slogan, "If you want your school to have Soul, vote for Tiffany Nicole". They were sold on my promise to have dance and double dutch contests during the lunch break. I too was a bit nervy like Barack, in that I was new to the school and had the nerve to come out the wood and run for something...I lost to this girl named Murleda but learned Intro to Politics at age 12, and now I'm obsessed. Shout out to those 4th graders who supported me. Congrats to the Purple & Gold for winning game 3 of the NBA Finals. Mmmkay, The Series, not the results people were expecting...guess we'll just have to stay tuned. I've been a Lakers fan since '84 (I have an email address to prove it) but I've certainly found a way to remove the emotion from the support I have for them. They're not gon' have me checkin' into emergency and re-arranging weave tracks...uhh uunnn, no way. I have the hardest time tryna get a hair appointment as is. His purple badness turned 50 on June 7th. Lots of fly people are turning 50 this year. Madonna (Aug 16) and the King of Pop (Aug 29) will also celebrate their 50th this year. Happy Bday to you all. Truly special people who changed the landscape of musical expression. How can I be down?